“It’s worth noting that Team UPC is also pushing SEP/FRAND (there’s a correlation there, especially among the motivations of their large clients).”Team UPC has basically just lied (yet again) about the situation/process in both Britain and Germany. Cordery makes the UPC sound so inevitable. So he is either deluded or intentionally lying (neither is particularly flattering a possibility). 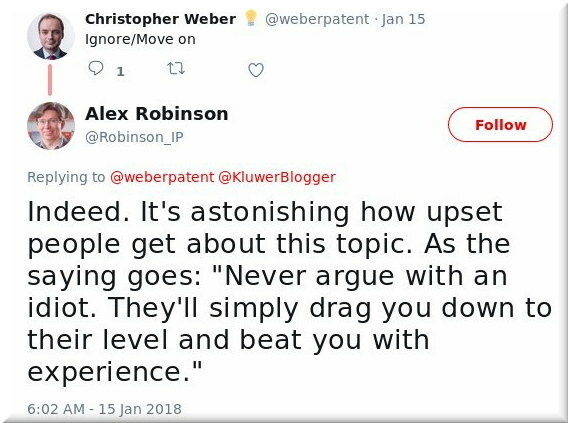 Team UPC has become like a demented person; no matter how many times you remind them of something obvious (facts), they ‘forget’ it, resort to their “alternative facts”, then claim innocence. It’s pretty worrying to think that these people provide professional legal advice to firms and people, and charge for it at extortionate rates. “Those who don’t agree with them are being framed as some sort of a “foreign plot” and there’s nothing they won’t do to demonise voices of reason…”This was said in a slightly different context than SEP, but the message is the same. Those who don’t agree with them are being framed as some sort of a “foreign plot” and there’s nothing they won’t do to demonise voices of reason (they’ve already attempted to call me a Russian stooge). So the UPC is a Dead Man Walking, Surely? HAVING published nearly 2,500 posts about the EPO, we have enough evidence to show that the EPO has, especially in recent years, been treating its workforce like dirt. Staff must never be treated like dirt. Many of them feel it. Many are depressed. It should be remembered that the ILO-AT is an adminstarative [sic] tribunal and not a court of justice – it checks that the procedural aspects were correct but not that the judgement was just. There’s no justice for EPO workers, neither at the IAC nor ILO. One begins to wonder if there’s patent justice at examination, oppositions, the Boards and the envisioned UPC (all of which Battistelli always controls or hopes to control). The perceptions of both justice and independence are farcical. 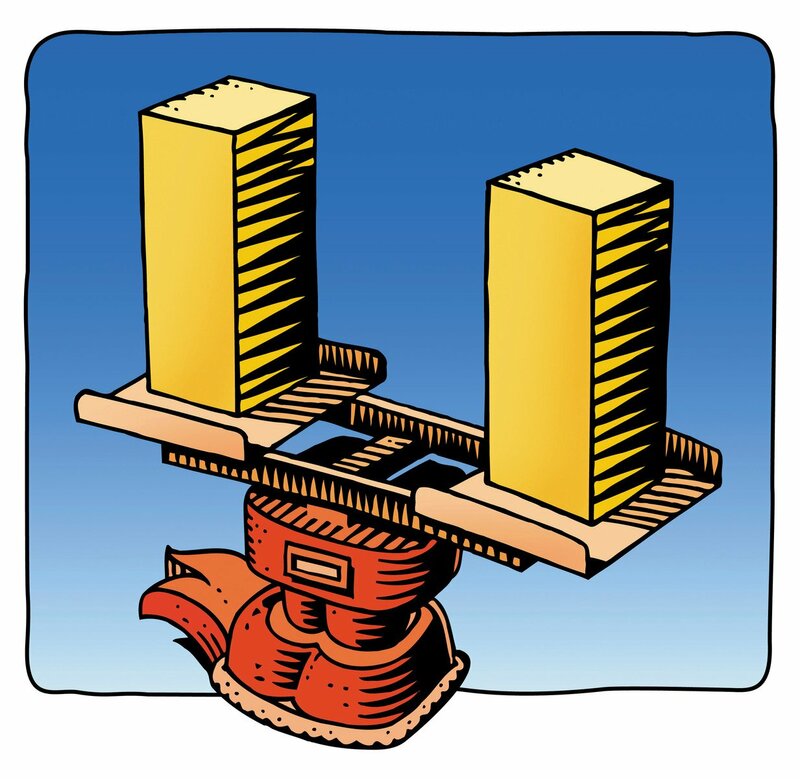 Following critisism [sic] from the industry, the European Patent Office has drafted a proposal to allow exemptions to its Early Certainty Initiative. Industry associations had pressed the EPO not to limit the time to grant a patent to 12 months arguing it would have detrimental effects on the life sciences sector. This is especially true for the life sciences sector who had voiced concerns over the past year that a 12-months examination time could block innovation and harm the whole sector. THE EPO‘s financial state and utterly gross misuse of funds has long fascinated us. How can Battistelli get away with all this? Another Bygmalion Affair? “Money corrupts. EPO budget corrupts absolutely. It can even buy votes and journalists in order to ensure they play along, in effect siding with the abuser.”We have already seen the EPO shelling out stakeholders’ money for illegal activities like obtrusive surveillance, plenty of bodyguards for Battistelli and his cronies, a secret little pub for Battistelli and his cronies, alleged ‘bribe’ money for votes, money for lawyers who financially destroy staff (e.g. in ILO), several law firms that legally bullied me on behalf of Team Battistelli, ‘soft’ bribes to media companies, ‘soft’ bribes to academia and so much more. 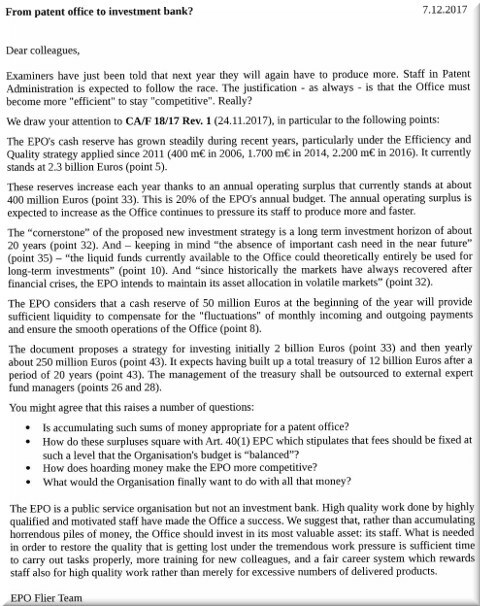 The EPO is being treated like a bottomless money pit, mostly by Battistelli. It’s a new thing. He also pockets some more money along with his cronies (they give themselves generous ‘bonuses’). Stakeholders deserve to know all this. It’s their money; they’re being milked. Well, mentioned by SUEPO earlier today was this new Kluwer Patent Blog post from Samuel Adams. It’s about the EPO thinking that it's an investment bank, as anonymous EPO insiders have warned. Read on. They’re being far too soft on the EPO, calling this “sensible” (even if just “in principle”). Much of what we’ve seen so far exceeds our expectations. Hours ago I even replied to the EPO (it “follows” me in Twitter — something that some of our readers find rather odd), after it had cited a ‘study’ from a large German news publisher whom Battistelli paid (again) some months ago. No wonder German media is so docile if not silent regarding EPO scandals. Money corrupts. EPO budget corrupts absolutely. It can even buy votes and journalists in order to ensure they play along, in effect siding with the abuser.